These TV Stands Hold a Massive Television! Ready To Ship TV Stands For 72" Monitor Company Are Our Specialty! TVStandsOnly.com Stocks Variations Too! These heavy duty TV stands that are designed for vertical mounting only have extremely long arms to support larger monitors. The LCD racks are meant to hold flat panel screens only in portrait (vertical) mode, as the arms will be visible if a monitor is in landscape (horizontal) orientation. 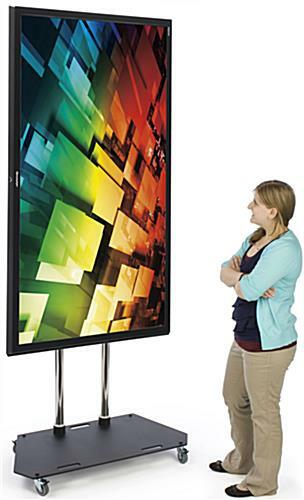 The classic plasma displays, heavy duty TV stands with wheels are easily maneuverable within a room. 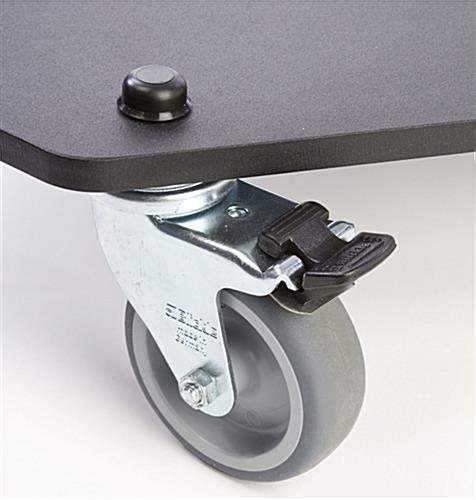 The wheels on each unit are lockable, stabilizing the rack once in a desired position. Media furniture, LCD living room racks, and other heavy duty TV stands that are durable feature a steel construction. These displays are ideally used in heavily trafficked areas, and the durable constructions ensures years of use. The heavy duty TV stands for trade shows are also found at convention centers and in business lobbies! Vertically mounting a monitor provides a different look that will better capture passersby's attention. The plasma racks, heavy duty TV stands that are height adjustable to allow users to place the monitor at the right height for their presentation. These LCD racks hold a television that weighs up to 176 lbs. The television stand has a tilting bracket to angle the monitor to provide the best view, just like wall mounts for living room use. The displays ship unassembled and include instructions with tools for quick assembly. 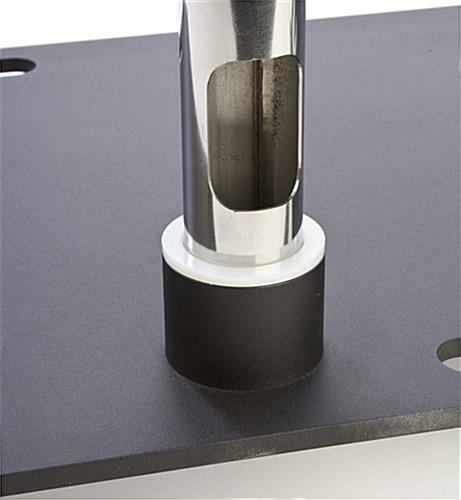 The classic plasma display is VESA compatible for 200mm x 200mm through 1200mm x 400mm. Ready to ship TV stands for 37"-60" monitor company are available in bulk quantities. If you're a manufacturer shopping for racks to hold the heaveir Sony Bravia, Panasonic, LG, or other TV brands, our Spartan models are your answer. Please Note: The bracket is meant for vertical mounting only. The arms are 50" long, and will be visible when the overall width of your television is shorter.